Heat oven to 350°F. (325°F for dark or nonstick pan). Grease bottom of 8-inch square pan with shortening or cooking spray. Make brownie batter as directed on box. Stir in cinnamon. Spread in pan. Bake 35 to 38 minutes or until toothpick inserted 2 inches from side of pan comes out almost clean. Cool completely on cooling rack, about 1 1/2 hours. Cut into 4 rows by 4 rows. 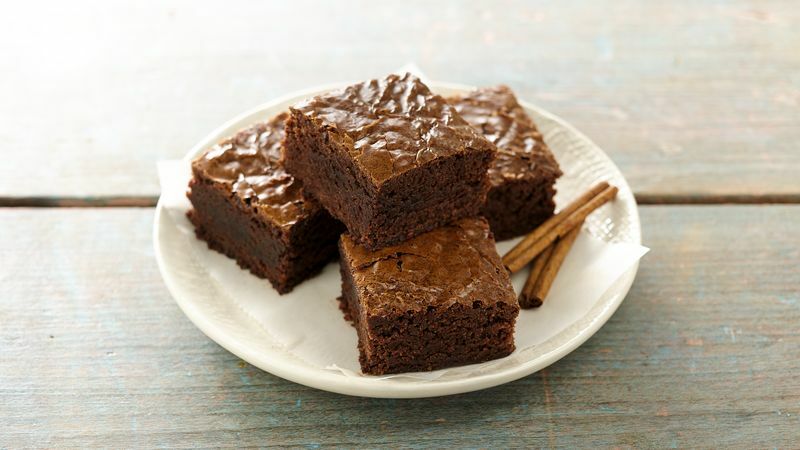 Using a plastic knife when cutting the brownies helps prevent them from sticking to the knife.